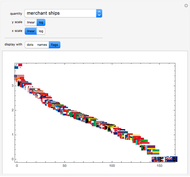 Countries ranked by various quantities. 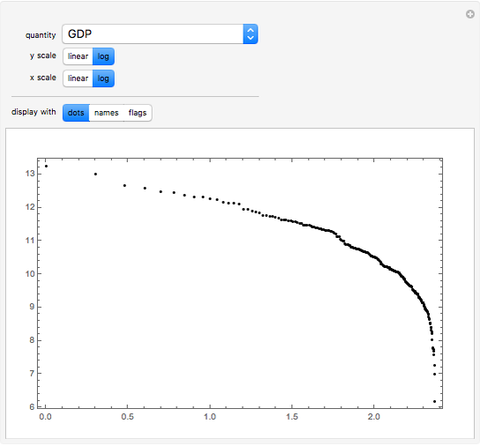 The fairly common presence of approximately straight lines in the log-log plots corresponds to approximate power laws. 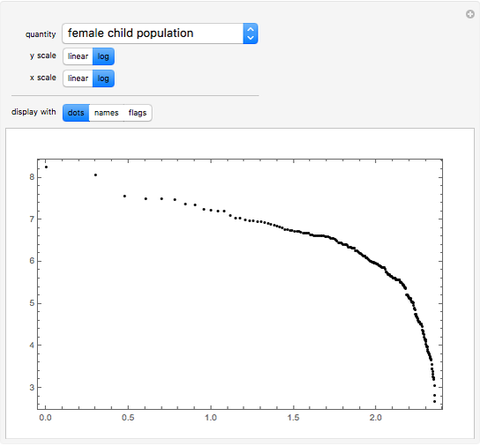 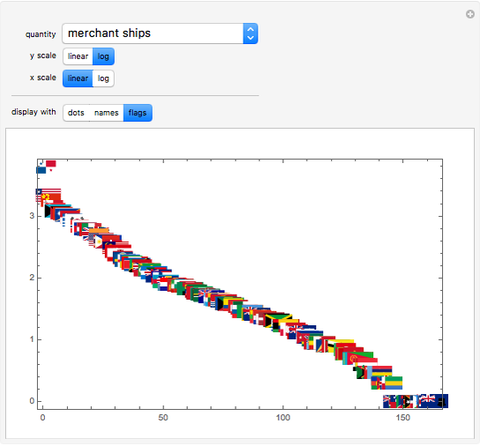 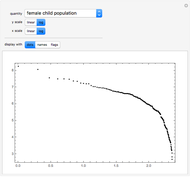 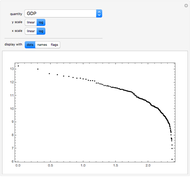 Stephen Wolfram "Rank Plots for Countries"